If you were to ask me what my biggest fears were, I would put the fear of failure at the top for many reasons including who am I letting down, who is watching me fail, what will people think of me, nobody likes a failure, I will be treated poorly, I will have no confidence, I don’t want to struggle, it doesn’t feel good to fail, the shame, the guilt, the anger and a myriad of other thoughts and questions of self. As a black man in society, odds may not be in our favor to when trying to “win” at life and we have to work harder than our counterparts. We can dive into historical references, but that’s not what this is about. This is about addressing our fear of failure and what failure is. 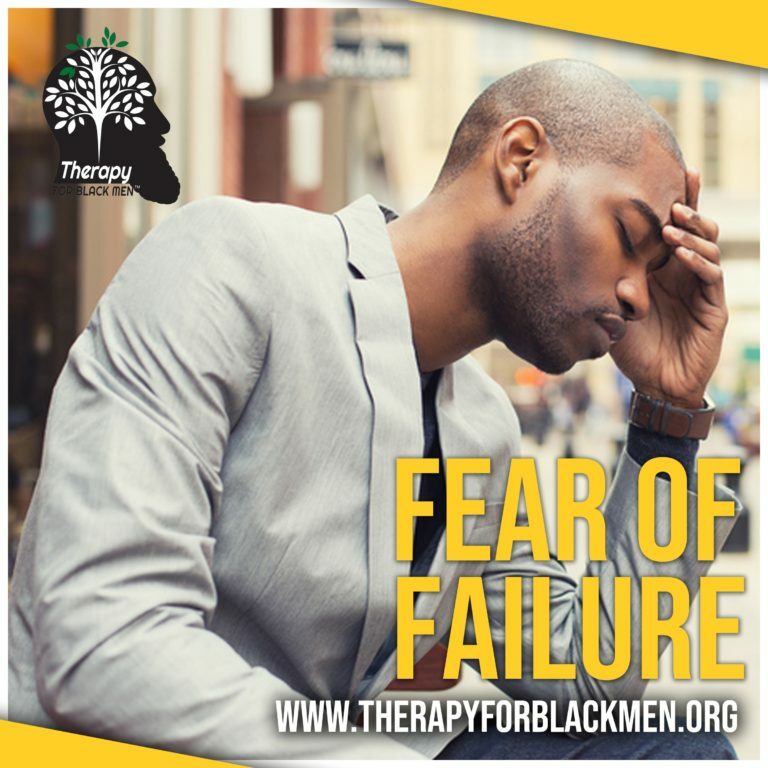 What does the black man’s failure look and feel like? Do we own the comparison or society’s definition of failure when we have so much stacked against us? Do we even deserve to be labeled as a failure when we have given everything that we have and are still described as the one who came up short? Let’s dive into failure before we dive into fear because I believe the connection isn’t correlated the way we want to position ourselves. We can’t describe failure without identifying what success is to US. I don’t think it’s always the fear of failure. Sometimes it’s the fear of trying and the fear of the process because of what we have to go through. Failing as a father, husband, brother, son, business owner, athlete, musician and as a man is devastating to not just us but also our community. But why do we put that much pressure on ourselves? Think about the first time you got last in a race or didn’t get chosen by a girl or failed a test. How did your parents, friends and those who saw you fail treat you? What was that like? How did you feel and how did you bounce back? Those are examples that happened when you were younger and may influence and shape your thoughts and reactions to failure. Ask yourself what is the word or feeling of failing connected to. A lot of us grew up with a lot of pressure and we still hold onto those thoughts that can push us to go hard or for fear to freeze us. Why don’t we see success in efforts and acknowledge growth through the process enough? Everything that doesn’t go as planned isn’t considered a failure. It can be a redirect or opportunity to learn something new about yourself and those around you. The truth is, again, that it’s not always about the outcome. It’s about the process. Allow yourself to try, because that is a win. It’s like training for a marathon and the medal you receive is having the courage to not only sign up but compete and complete. Celebrate the small victories. Separate the experience and outcome from what and who you are. Not succeeding in something doesn’t make you a failure; it means that that experience didn’t work out. You may have failed to complete, but you didn’t fail to compete. We have to reframe our thoughts about our experiences and detach shame from the result. All those feelings we have and the thoughts of ourselves need to be examined and we need to provide ourselves some empathy. We need to address the fear head on and ask what are we fearing exactly? It’s okay to be fearful of failure, but not okay to let that fear paralyze us from trying. Going into that the thing that’s “scary,” try focusing on the aspects you can control. Prepare, plan and give yourself some grace. We are human just like everyone else and deserve/need empathy. If no one gives it to you, give it to yourself. Reminder: Just because you have failed doesn’t make YOU a failure. Not everything is for everyone, decrease the comparing and forgive yourself for failing because I am sure if you were to write a list of failures and successes, your successes would outweigh your fails.